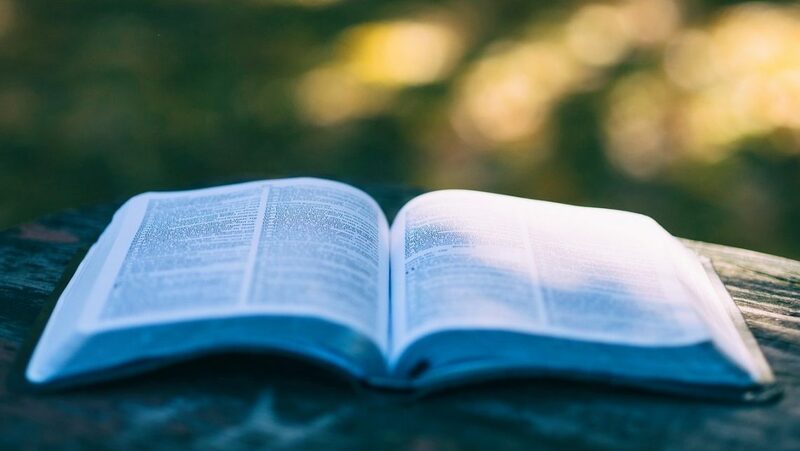 7 Of The Best Examples Of Digital Storytelling – novel. Digital Storytelling has been a marketing buzzword for the last 5 years or so. Despite it hitting the mainstream marketing magazines and boardroom tables, it is still rare that we come across a digital storytelling example that really hits the mark, and ticks all the boxes when it comes to the core principles of digital storytelling. In our omni-connected world, the attention span of a website or social media post browser is now less than 3 seconds. Not long to catch their attention and stop them scrolling. If you manage to hook the user into your content, digital storytelling allows a brand to strike a chord with its audience, and will help keep them engaged. Below we have picked seven examples of digital storytelling where we believe interactive content has been combined with great writing, an immersive story, top notch imagery to create authentic content, and a brilliant digital story. The original example that put digital storytelling on the map. 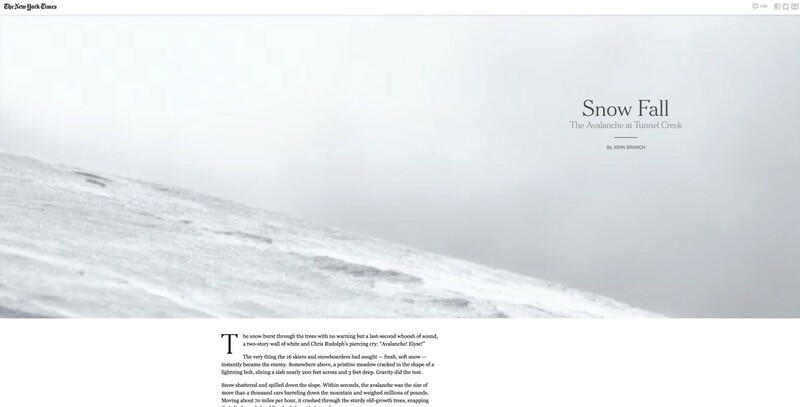 A Pulitzer prize winning project, ‘Snow Fall’ by the New York Times has practically become synonymous with digital storytelling. In the six days after Snow Fall’s launch on December 20th, 2012, it had received more than 3.5 million page views and 2.9 million visitors. It has fantastic images, immersive maps, video content, story characters and is incredibly well written. If you’ve not watched Bandersnatch on Netflix yet, then set aside a couple of hours to watch it. The interactive TV mechanic brought rave reviews from critics, moving the TV genre closer to a game. 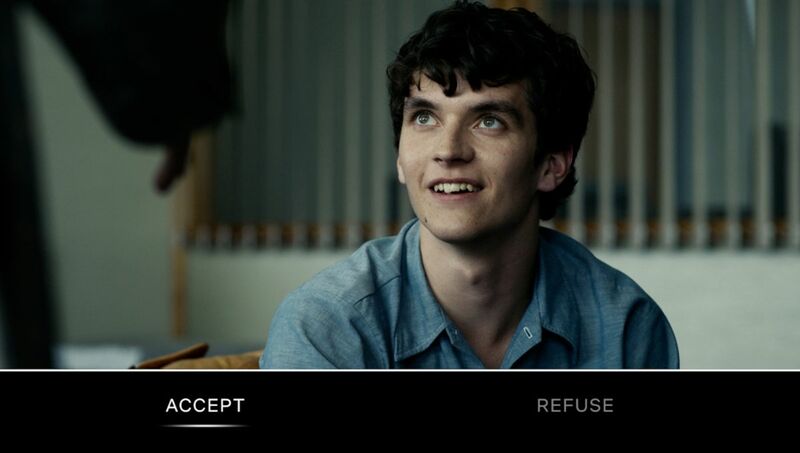 Bandersnatch allows you to choose a variety of options throughout the interactive film, allowing you to reach one of many different endings. Bandersnatch has done so well that follow up interactive films are being recorded to be released on Netflix over the next few months. Bear 71 is a 20 minute interactive, moving documentary that follows a grizzly bear, and highlights the plight of grizzlies in Banff. 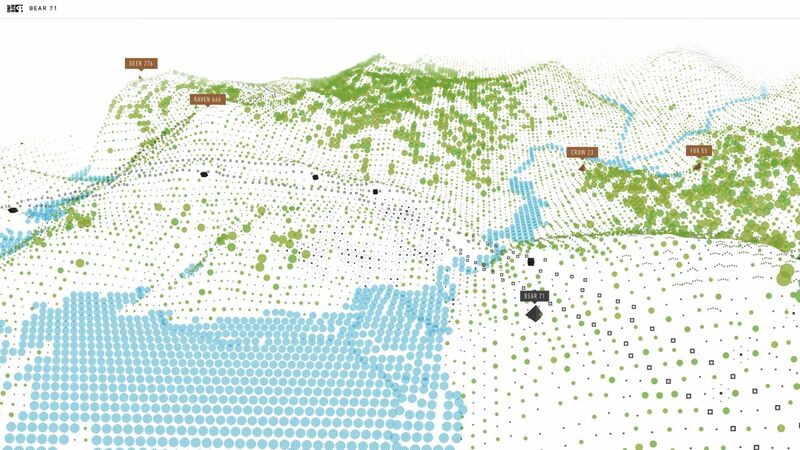 Created by the National Film Board of Canada, it allows you to use your webcam, mouse, and laptop keys to move around an interactive map of Canmore, Banff National Park, Canada. 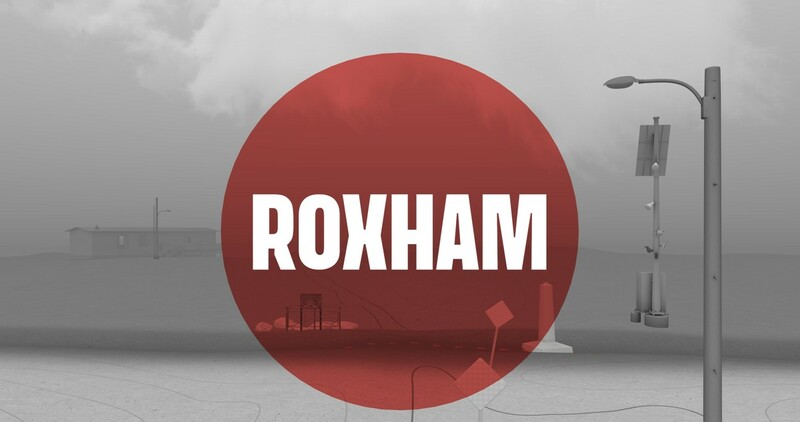 This interactive documentary isn’t just about simple narrative. It’s a story about technology, and how it shapes our interaction with the online world. Another gem from the National Film Board of Canada, Roxham Road is a quiet and practically unknown road between the United States and Canada, but became the location with the largest number of irregular border crossings in the country. This immersive experience tells 32 different stories of border crossings on the road. 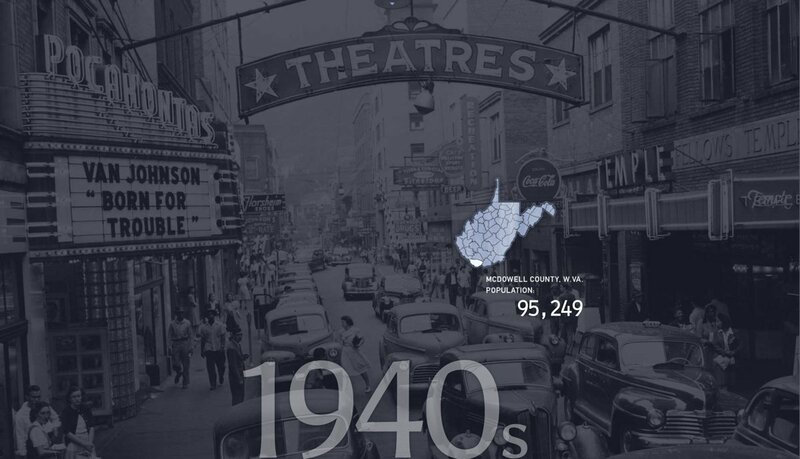 Get your headphones plugged in, and get ready to be taken on a boom and bust journey Of McDowell County, West Virginia. The sights, sounds and visual effects come at you thick and fast in this digital storytelling timeline example. Very slick, very interactive, Hollow is one of our favourite examples of online storytelling. One of the oldest digital storytelling examples we can remember, Get The Message was a campaign created by Isobar, on behalf of the Royal Navy. Whilst the site no longer exists, you can see how the content played out in the video below. It allowed you to create a message, and send it by text, email or social media message to one of your friends and family. You were in control of the message. Isobar created six different scenarios where the Royal Navy officers would then deliver the message to your recipient. This included through the jungle, from a helicopter, from underwater divers, and more. Again a few years old, but this is another example of brand storytelling, executed well, and without a huge budget. Best Western captured stories from staff across various hotels, and made a video campaign from them that was distributed across social media. Very amusing this one! Let us know if you spot a good digital storytelling example, and post your links or comments below.